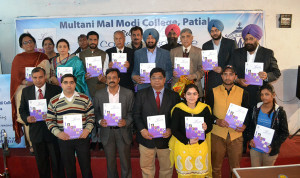 Mr. S. P. Singh Oberoi, Founder of ‘Sarbat Da Bhala Trust’ released the Magazine ‘The Luminary’ of M. M. Modi College, Patiala and announced 100 scholarships of 10000/- rupees each for the needy students. Mr. S. K. Ahluwalia, IAS Retired and director Sarbat Da Bhala Trust explained the various social welfare activities undertaken by the trust including the act of saving the life of 54 Indians and other foreigner youths imprisoned in Dubai and facing death row by paying blood money. 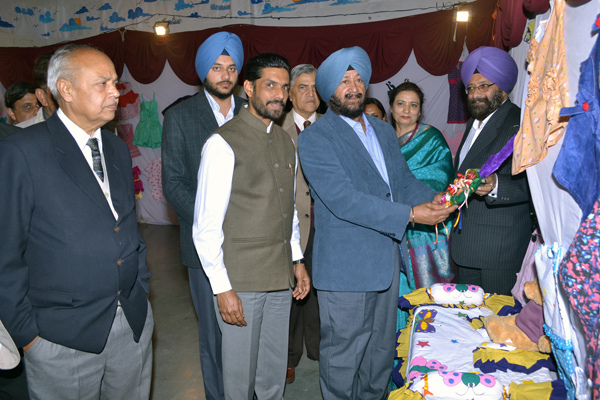 Dr. Khushvinder Kumar, Principal of the College welcomed the Chief Guest and other dignitaries. He emphasised that the college magazine provides an opportunity for the budding writers. Sh. Surindra Lal, Chairman’s Nominee of Modi College appreciated the work done by the editorial board and the rich content of Students’ writings. He thanked the chief guest Sh. S.P.S. Oberoi, Sh. 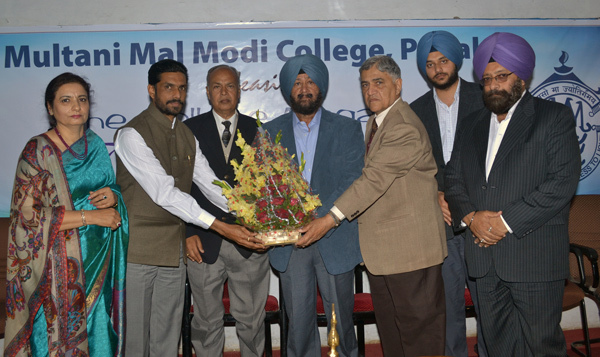 S. K. Ahluwalia, Mr. Prabhleen Singh and Mr. Gagandeep Singh, Journalist PTI and other dignitaries on behalf of the college management. 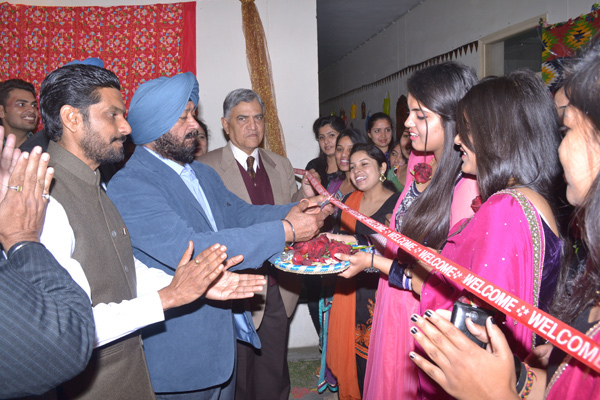 Dr. Gurdeep Singh also exhorted the students to inculcate the habit of reading which makes their writings rich. Prof. Baljinder Kaur, Co-ordinator Fashion Design and Technology and Editor in Chief of ‘The Luminary’ talked about the quantum of efforts which the entire editorial team put in the Publication of this magazine. A wonderful exhibition of the apparels designed by the department of Fashion Design and Technology was also inaugurated by the Chief Guest.